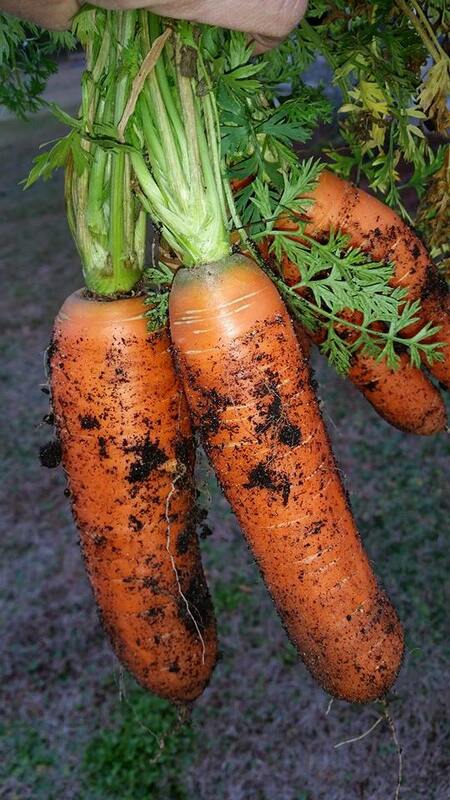 The pelleted Romance carrots I planted in the fall weathered the days of freezing tempatures unscathed. 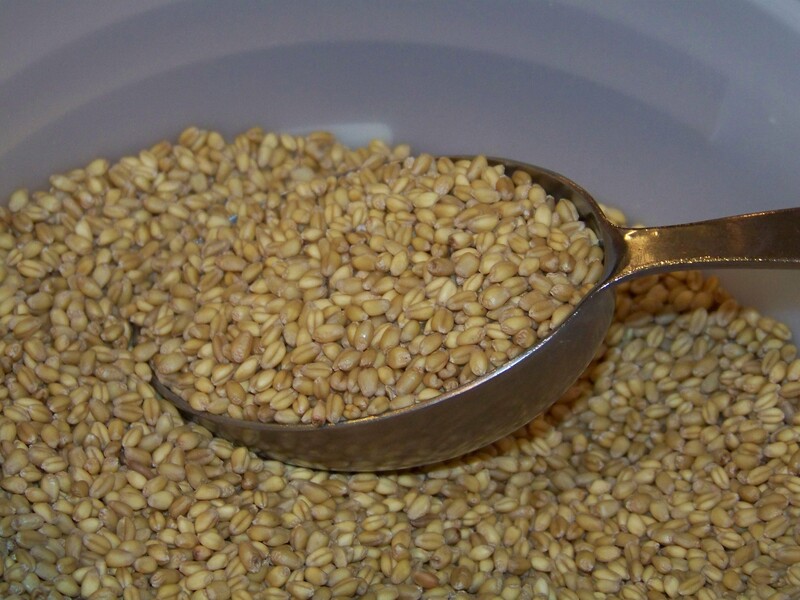 I prefer the pelleted seeds because they space perfectly and grow perfectly. I developed a new recipe to follow my clean eating goals. Mix sugar and oil. 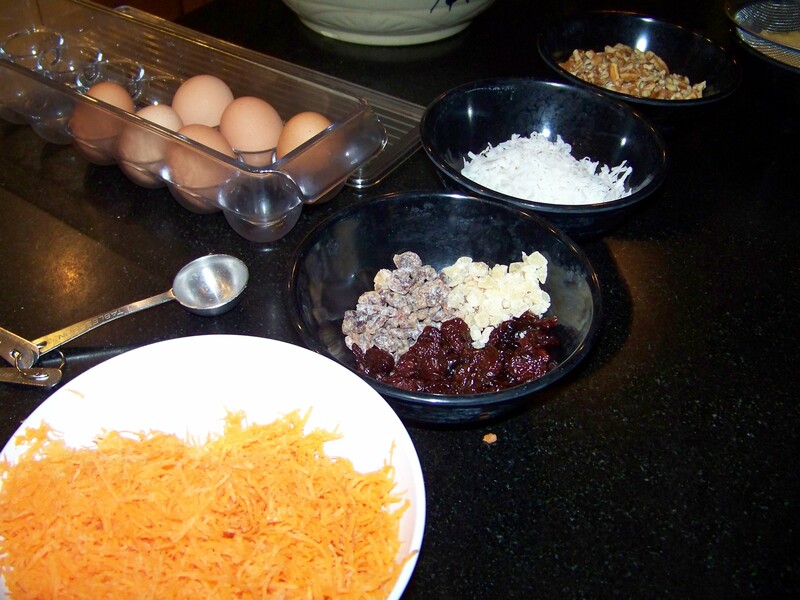 Add eggs, carrots, coconut, pineapple, pecans, dried fruits, vanilla and mix. Add all dry ingredients. And mix. 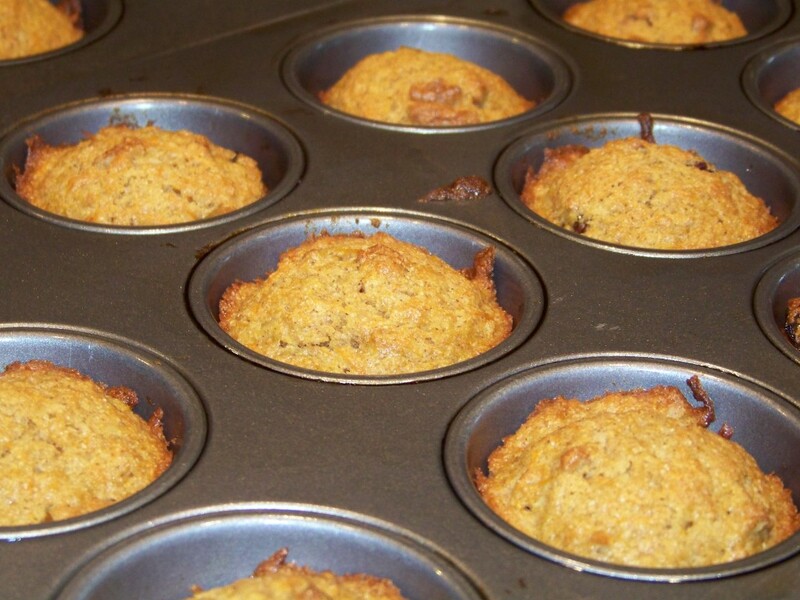 Scoop into greased muffin tins and bake 25 minutes at 350F. Makes 24 small muffins. I love the recipe from Smitten Kitchen for Honey Apple Challah. I’ve made it a half dozen times, sometimes giving the loaves away to my Jewish friends celebrating the Sabbath or a holiday. I’ve made it with and without the apples. I prefer to make it in a three strand braid instead of the four strand knit that Smitten Kitchen uses. I’ve substituted butter for the oil and it is good, but the oil is best. I’ve used pecan oil and peanut oil as well as the standard vegetable oil. I used whole wheat flour for part of the flour, too. You can grate orange peel into the dough and it adds some depth. 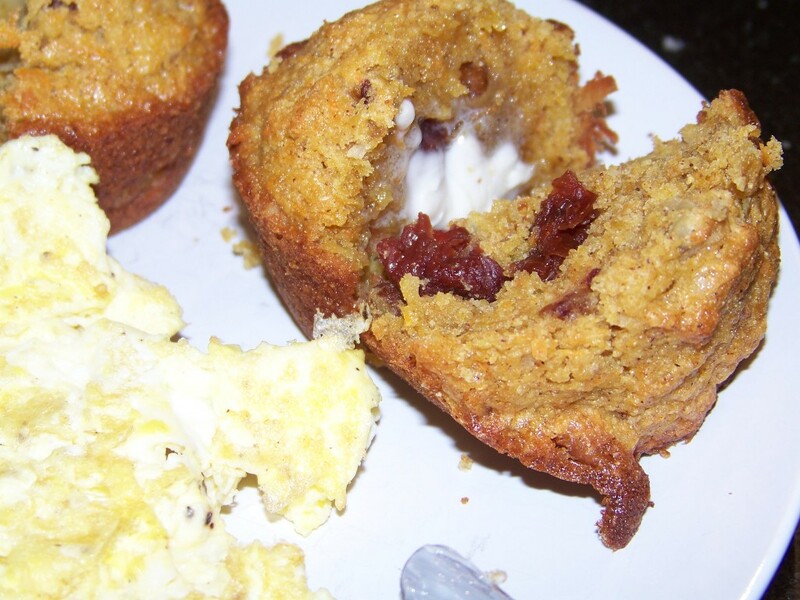 But following Smitten Kitchen’s recipe exactly is a sure fire winner. It never fails. Add apples to dough: Turn dough out onto a floured counter and gently press it down into a flat, oblong shape. Spread apple over the flattened dough. Fold the dough over the apples and knead mixing the apple bits into the dough. Upend your empty bowl over and set it aside for another 30 minutes. Weave your bread: Divide dough into 3 pieces. Weave them like a traditional challah. Transfer the dough to a parchment-covered heavy baking sheet or baker’s peel (if you’ll be using a bread stone). Beat egg until smooth and brush over challah. 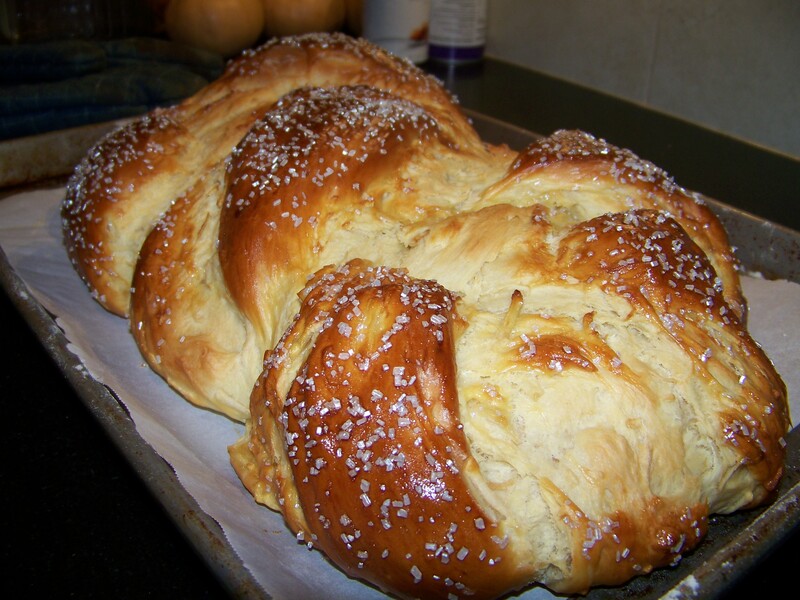 Let challah rise for another hour but 45 minutes into this rise, preheat your oven to 375 degrees. Bake your loaf: Before baking, brush loaf one more time with egg wash and sprinkle with coarse sugar if you’re using it. Bake in middle of oven for 40 to 45 minutes. It should be beautifully bronzed. It is done in 40-45 minutes or when the center of the loaf should be 195 degrees.